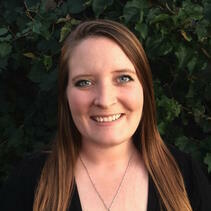 Rhiannon Schultz serves San Diego Zoo Global as a Senior Research Associate in Community Engagement. In her current role, she is responsible for aiding in the organization and implementation of in-house field trips, professional development workshops for formal and informal educators, informational tours of the Beckman Center, and in the development of curriculum for the conservation science modules conducted in the Conservation Education Lab. Currently, Rhiannon focuses on finding ways to effectively communicate the conservation science taking place at the Institute to the students participating on field-trips and educators participating in our Teacher Workshops in Conservation Science. She feels that inciting a passion for science is an important part of successful conservation methods, and she works to make San Diego Zoo Global’s research and vision relevant and relatable to members of the public and local community. Rhiannon also is involved with the Conservation Education Lab set-up and procedures, as well as in the instruction of education programs in the Eddy Outdoor Learning Lab, Elfin Forest Recreational Reserve, and Mission Trails Regional Park. Rhiannon earned her bachelor’s degree in Biological Anthropology with a focus in Primate Behavioral Ecology from the University of California, San Diego, and her Master’s Degree in Biology from Miami University and the San Diego Zoo Global Advanced Inquiry Program. She has a special interest in primate conservation, and during her degree work, used this fascination to focus on alleviating disease as a roadblock to conservation efforts in East Africa and Southeast Asia. Rhiannon is excited to use her passion for wildlife and public health to further engage students and professionals through her role with the Community Engagement team.